You'll receive 8 packs of top quality 10 Karat Gold Plated sterling silver ball nose studs with 36 studs in each. A total of 288 studs. 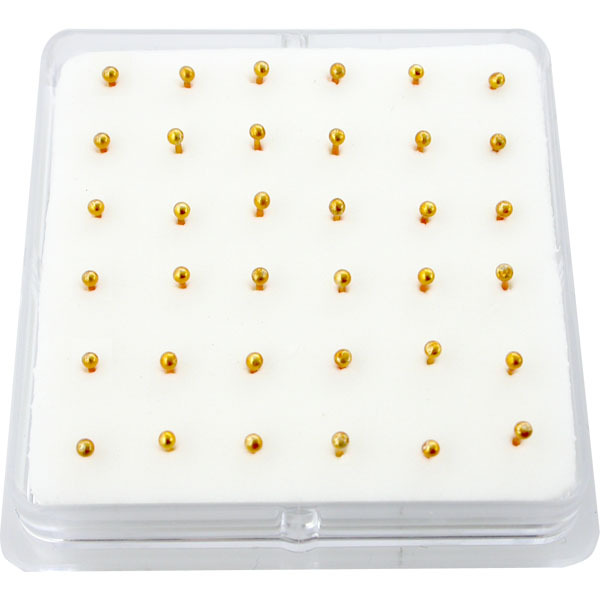 All studs are sorted on a white sponge (as in the pictures) , inside a plastic display.